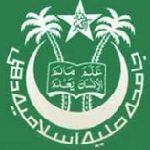 Jamia Millia Islamia Professor recruitment 2016-17 apply for 104 posts : Jamia Millia Islamia welcomes application for the position of 104 professor, associate professor, assistant professor, peon and various vacancies for teaching and other positions. Candidates who completed their PHD, 8th class is a good pportunity.The individuals who are the occupation seekers searching for govt employments in Delhi this is the best chance to apply. Competitors read the official notification then read all the guidelines and miners precisely then apply before the last date online application got. All the interested and eligible candidates can apply before 12th August 2016. Candidates Age Limit: The age of the candidate will be according to rules and regulation of Jamil Millia Islamia organization norms. Academic qualification details: Candidates should have an eminent scholar with PHD qualification in the concerned / allied / relevant discipline and published work of high quality / actively engaged in research with evidence of published work. Academic qualification details: Candidates should have an eminent scholar with PHD qualification in the concerned / allied / relevant with master degree with at least 55% marks. Details of Fee particulars: Candidatesare required to pay Rs 500/- and Rs 250/ for SC / ST through bank draft / IPO in the favor of Jamia Millia Islamia, New Delhi:- 110025. Process of applying for the job: Candidates may apply in prescribed application along with self – attested copies of academic qualification and experience send to the office of the Assistant registrar, recruitment and promotion section, 2nd floor, registrar office, Jamia Millia Islamia, Jamia nagar, New Delhi:- 110025 on or before 12th August 2016.